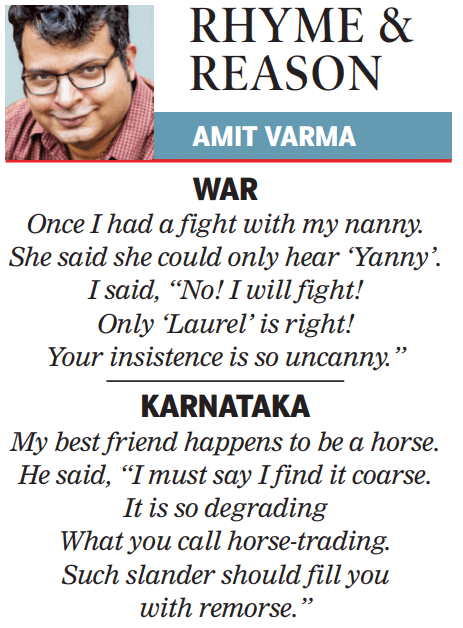 This is the 80th installment of Rhyme and Reason, my weekly set of limericks for the Sunday Times of India edit page. Once I had a fight with my nanny. She said she could only hear ‘Yanny’. I said, “No! I will fight! My best friend happens to be a horse. He said, “I must say I find it coarse.